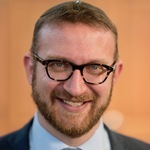 Last week as a scholar in residence at Ohab Zedek (OZ) on Manhattan's West Side, I was asked what I thought of the "increasing problem of 'half Shabbos' in our community." The reference, of course, was to a much talked about trend amongst teenagers in the Orthodox world who consider themselves to be Shabbat observant yet cannot seem to resist the urge to use their phones and other electronic devices at some point between kiddush and havdalah. The first thing I told the questioner was that I'm not terribly fond of the term. Its origin seems to lie in a comment made by a high school principal to Alan Brill in the Fall of 2010, which Brill then posted on his blog. Over the ensuing months several other bloggers picked up the story and responded to it, until it hit the mainstream media in a column by Miriam Shaviv in the Jewish Chronicle in January of 2011. Half a year later, the biggest splash was made when Steve Lipman wrote an an article on the subject entitled "For Many Orthodox Teens, ‘Half Shabbos’ Is A Way Of Life" for the New York Jewish Week. The assumption made through all of these pieces is that the term "half Shabbos" was in wide circulation amongst the Orthodox teenage population. And that was critical to the story. To some, the fact that our teens coined a phrase to capture this transgression reflected the frequency of its occurrence. Thus, in a follow-up article in the OU's Jewish Action entitled "Half Shabbos is No Shabbos", the author notes that "So common is the phenomenon that it even has its own nomenclature: 'half Shabbos.'" To others it represented the shallowness of our teens, the callousness with which they shirk halakha, and / or the ease with which they distort reality to justify the satisfaction of their impulses and needs. My sense, though, is that "half Shabbos" is a term used far more often by adults who talk about teens rather than those who talk to them. As far as I can tell, the term isn't - and has never been - widely used by our teenagers themselves. I do not know who the original principal was that had the conversation with Alan Brill or what school and community he was referring to. I have no reason to doubt that what they were reporting at the time was true. However, my experience in working day in and day out with Modern Orthodox teens is that the term never gained the widespread usage which the adult population attributes to it. Yes, in our Day Schools and yeshivot there are those who are shomer Shabbat and those who are not. Yes, there are also those who consider themselves shomer Shabbat while engaging in certain practices that are inconsistent with any definition of the term. But in both of these respects, our teens are not that different from the adults in our community. Suggesting that the transgressions of our adolescent population are more egregious because they have coined a term for it, seems unfounded and unnecessarily disparaging. Therefore, in talking about this phenomenon and in seeking ways to help those teens who are struggling with it, I think we are best off referring to it by what it is: young men and women for whom it is immensely difficult to disconnect from their devices on Shabbos in our hyper-connected world. The second thing I said is that in certain adolescent and young adult social circles - across all streams of Orthodoxy - the problem is undoubtedly real. It's no secret that our kids are growing up in a world where their primary and most natural form of communication is digital. As Dr. Scott Goldberg demonstrated in his 2011 survey of 1,200 teens in Modern Orthodox high schools, asking teens to change the way they perform such a basic human function once a week is a formidable request. When we add in the fact that peers are generally the most important element of a teenager's life - and thus no teen wants to be the one who turns on his or her phone on motzei Shabbat to find 86 texts, 51 Whats Apps, 32 Facebook conversations, and 25 Instagram posts from which he or she was excluded over the last 24 hours - a tipping point emerges. It starts with a few influential kids who can't - or have no desire to - resist the urge to communicate digitally on Shabbos. They intentionally (e.g. group chats) or unintentionally (e.g., posts which automatically notify "followers") include others on their communications. Some of the recipients decide to join in rather than listen to their phones buzz all Shabbos long. They widen the circle by including a few more kids in their communications and at a certain point the pressure not to be "the only one" left out becomes unbearable. It was the third part of my answer, though,that seemed to catch the questioner most off guard. I said that while I have no hard data to back this up, my gut feeling is that if we haven't turned the corner on this issue yet, we will soon. When the Jewish Week article was written back in 2011, living in a world of perpetual connectedness was still very new and utterly overwhelming. We were transitioning to a very different reality and our teens were leading the way. Today, I believe we are settling into a new sense of equilibrium. Though reaching for our pocket or our waist is quickly being replaced with turning our wrists, today the notion of constant connectivity is one with which we have, to some degree, come to terms. With that comfort comes a newfound ability to be self-reflective and self-critical. Therefore, I said, I see young men and women today who are far more aware of the benefits of powering down than they were three or four years ago even if their behavior doesn't always reflect it. Five days after this exchange on Manhattan's West Side I witnessed something back home that I had never seen before - and which only strengthened my intuition. My wife had her 11th and 12th grade Navi class over at our house for a Chanukah party in the evening. After lighting candles and singing, we sat down at our dining room table for dinner. Within a few seconds of taking our seats there was a stack of cellphones piled high in the middle of the table. The girls had decided on their own that this was an experience for which they needed to be "present" and whose success hinged on their ability to connect with each other in a decidedly non-digital manner. Granted, it was an hour, not a day. Granted, these were a group of girls for whom powering down on Shabbos is likely not much of a challenge either. Nonetheless, their sensitivity to the underlying concept - to the beauty and wisdom contained within the gift of Shabbos - reinforced my deep-seated faith in our future.